On 24 July 2008, one of the most emblematic associations in FC Barcelona history was born. It occured in a preseason friendly against Scottish side Hibernian: Just one week before, club legend Ronaldinho Gaúcho had departed the club to sign for AC Milan. That freed up the number 10 shirt, and it was Leo Messi who wore it for the first time in the summer fixture. In that game, won 6-0 by Barça, Messi scored the second goal. It did not count towards his official tally for the club, but was nevertheless a terrific strike typical of the Argentine. A short time later, on 3 August, it was announced that Messi would be FC Barcelona's number 10 for the 2008/09 season. His first LaLiga game with the shirt number came on the final day of the month, in Barça's LaLiga opener against Numancia at Los Pajaritos. 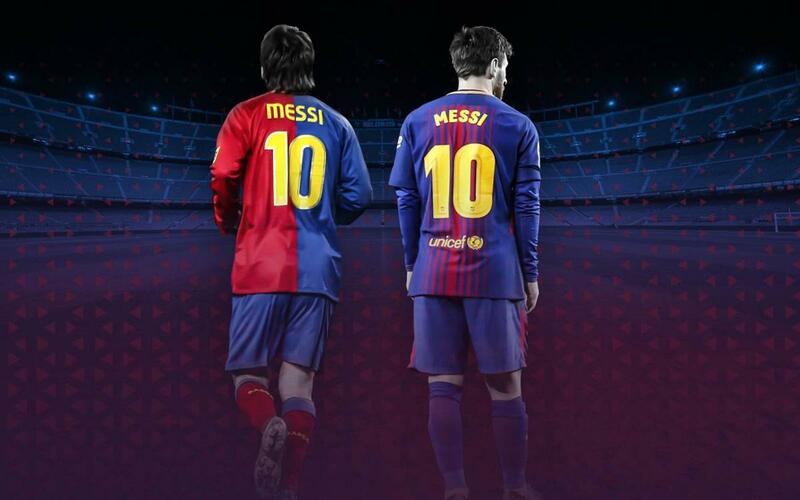 Since then, Messi and the number 10 have been a constant for the club.